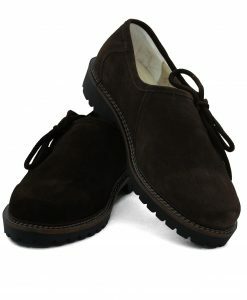 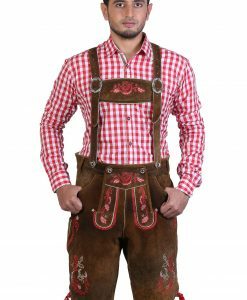 These fashionably bold traditional German lederhosen in Brown Red are made from 100% suede leather. 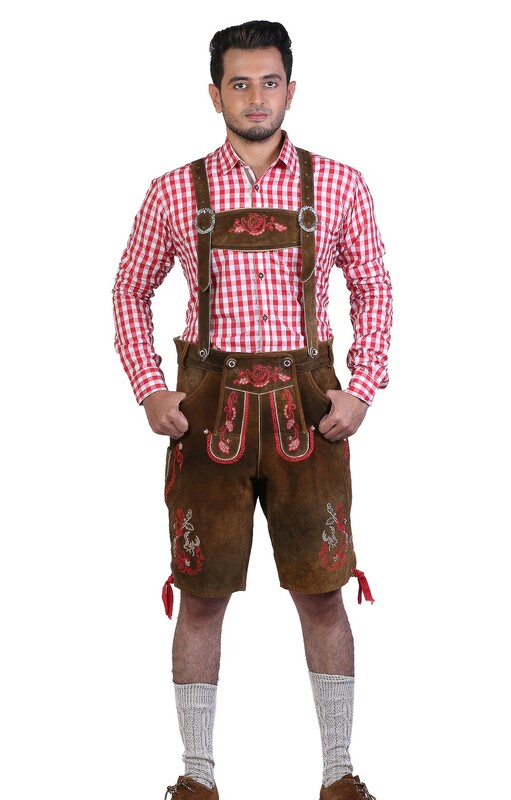 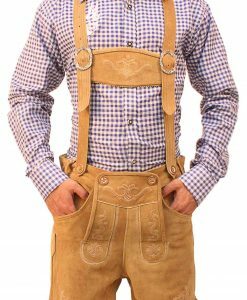 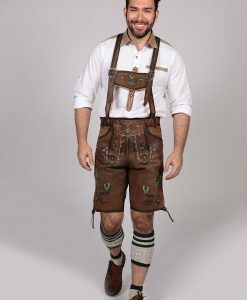 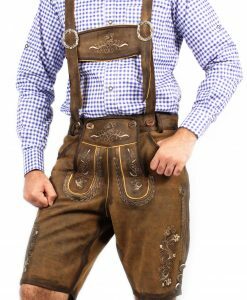 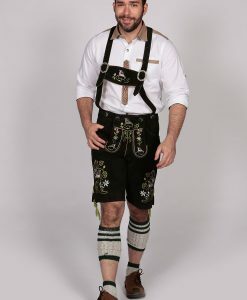 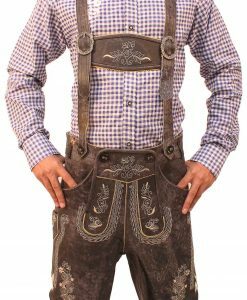 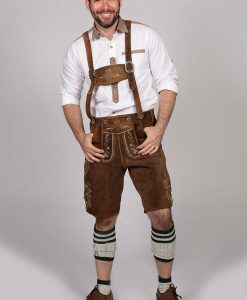 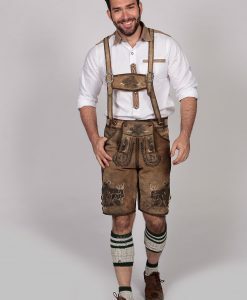 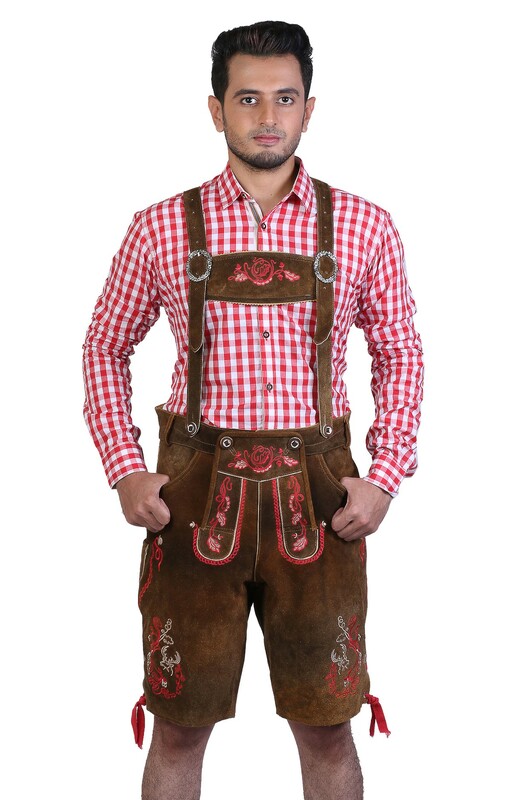 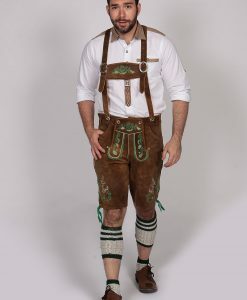 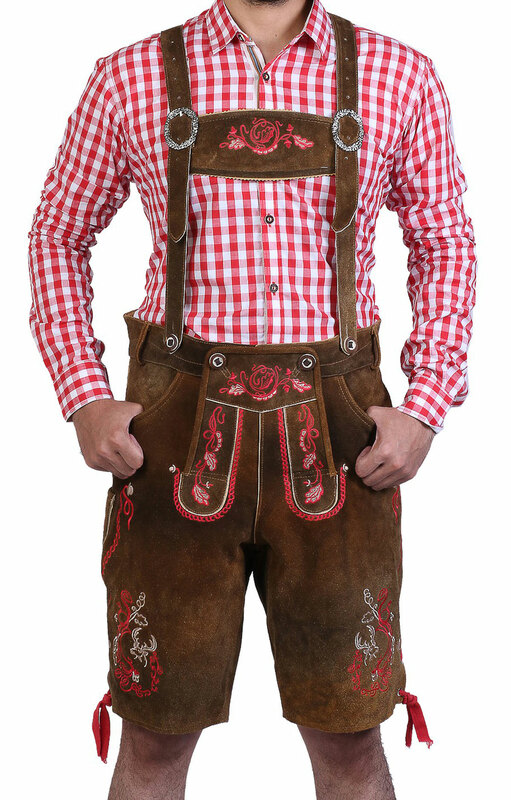 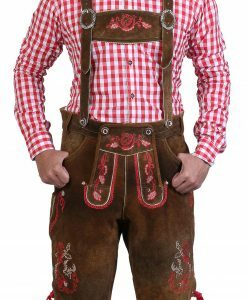 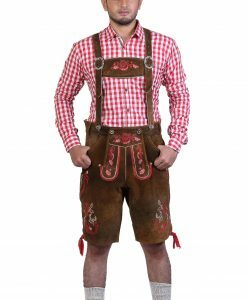 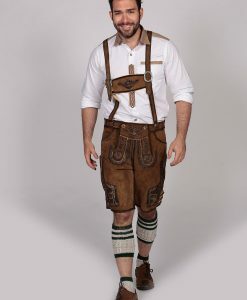 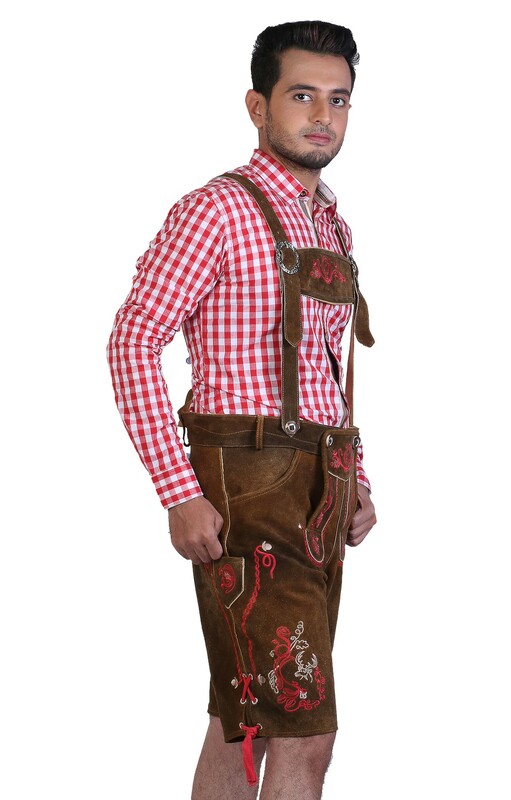 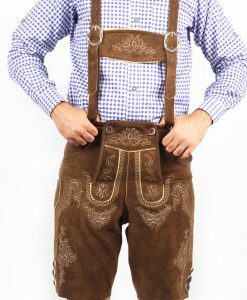 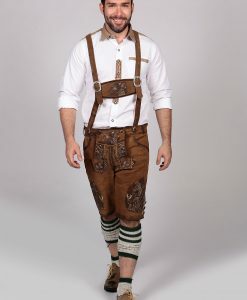 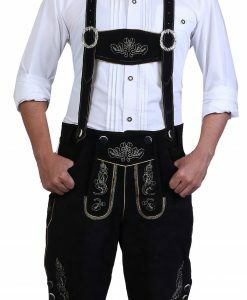 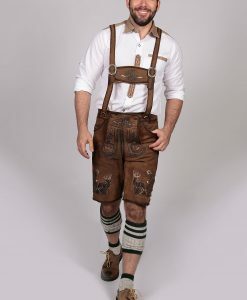 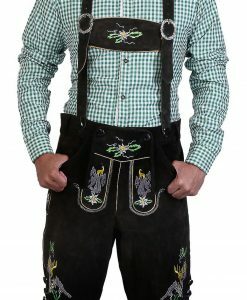 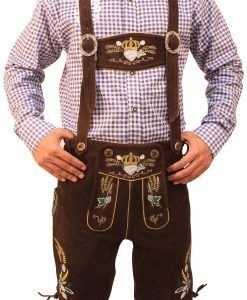 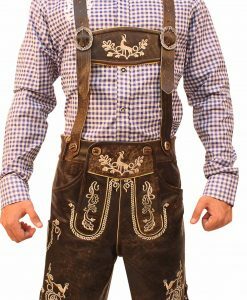 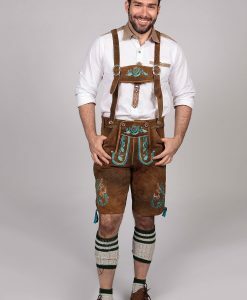 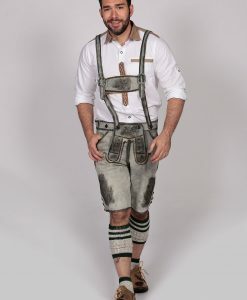 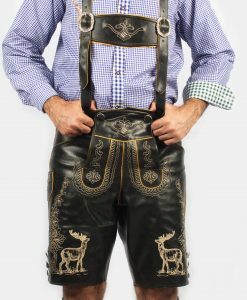 You are to wow the Bavarian Festival crowd with these traditional yet bold and daringly touched authentic lederhosen with embroidery in bright red customary motifs. 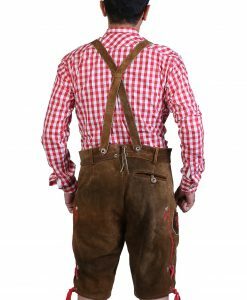 The naturally washed out brown color of high quality leather is highlighted with decorative red motifs on cross band of lederhosen suspenders, on web, and white and red motifs on the sides. 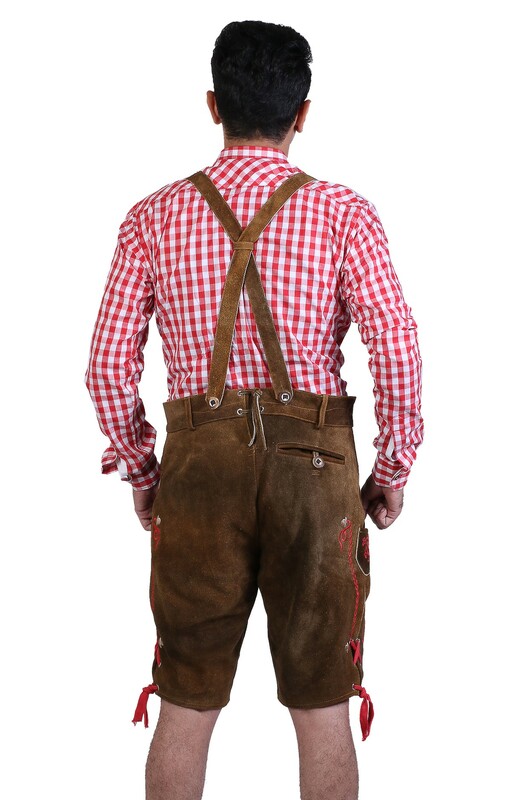 The fitting and length of H-shaped suspenders is adjustable with the silver buckles. 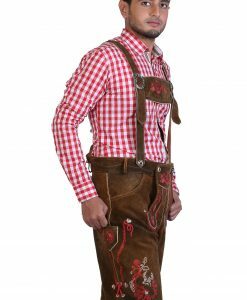 Teamed with red checkered tracht shirt you will look astounding.